Selecting roof shingles that suit your home can be an overwhelming task. There are many factors to consider and various options involved. Vinylume Home Improvement understands that choosing the right shingles for your home does not have to be a case of trial-and-error. The prompt would ask you to enter your zip code. This narrows down the available GAF roofing shingles in your area. Afterwards, GAF Roofing Wizard will provide you a list of shingle designs. Each option also has an image to give you a preview of how they look. Our selection may include Lifetime Designer shingles, which offer timeless design and long-term protection. This comes in ultra-premium and value collections. We also have 3-tab shingles, which are budget-friendly, yet they can provide optimum weather protection. Our Timberline® Lifetime Shingles are our best-selling line as it offers quality, aesthetics, and long-lasting performance. After picking your shingle design for your roofing in Westchester, GAF Roofing Wizard will generate a list of their available colors. It will also provide an image of your shingle in your selected color. Nonetheless, we advise that you request to see full-size shingles, as actual color may vary from the image. With GAF’s extensive options, choosing the roof that complements your home is worry-free. 3. Settle on Your Choice of Coverage Warranty. Your roofing in Connecticut won’t be complete without a reliable warranty, which offers protection for your home. 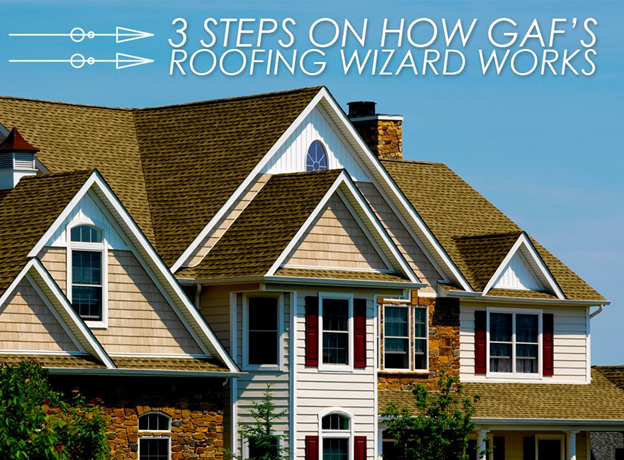 GAF’s Roofing Wizard also lays down three solid warranties to help you decide. Shingle and Accessory Limited Warranty – Gives basic protection for material defect coverage. System Plus – Provides a limited warranty on manufacturer’s material defects in your shingles and all other GAF roofing parts. Golden Pledge® – Ensures your peace of mind by covering manufacturing defects in all GAF roofing materials and on your contractor’s workmanship as well. Once you have finalized your choices, click the button “Show Me.” The webpage will route you to a summary of your roof configuration. You will also see a print-friendly button on the upper right corner, so that you can bring it as a guide when you consult us for your roof replacement. We welcome the opportunity to be your partner in your home investment. Call us at (866) 244-8029. You may also complete our form to schedule a FREE in-home estimate.